Seven seats as standard. Easy and comfortable to drive. Decent value and well equipped. Five year/100,000 mile warranty. Chain-cam diesel engine. Entry-level 1.8-litre petrol is a bit underwhelming. 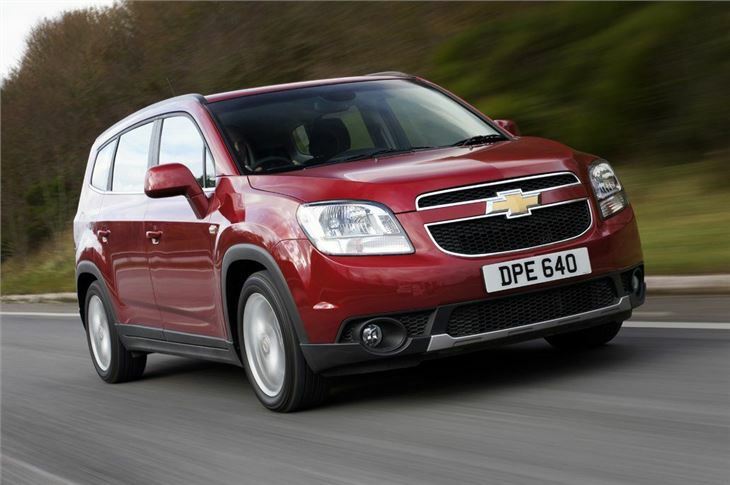 2011 Chevrolet Orlando LTZ has repeatedly suffered diesel particulate filter and EGR problems since new. Chevrolet is a brand that has big plans for the future and they start with the Orlando. It's the first MPV from the firm since the awkwardly styled Tacuma (which was an old Daewoo model from 2000), a car that found few buyers. 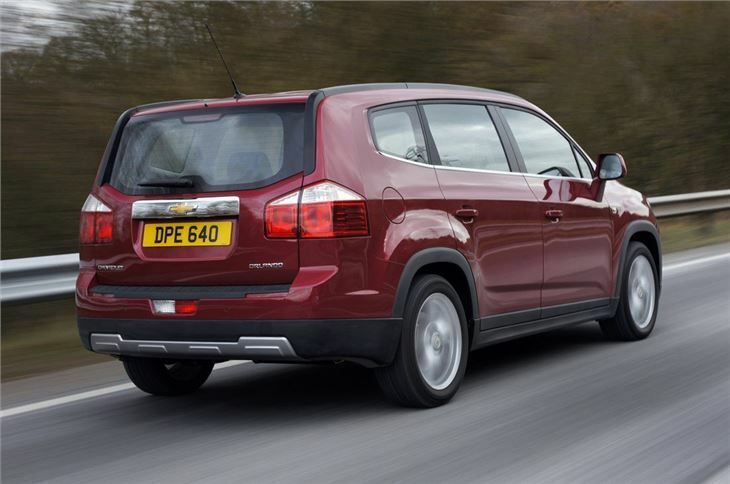 But the seven-seat Orlando is a different kettle of fish altogether and marks a new future for Chevrolet. A future which looks very bright if this is a taste of things to come. It's nothing revolutionary or exciting, but Chevrolet has managed to get the key things right. The Orlando is easy to drive, it's spacious inside, has seven useable seats and is good value. Add in neat looks, good diesel engines and Chevrolet's five-year/100,000 mile warranty and it's not hard to see why this is an attractive package and a very strong alternative to established MPVs from the likes of Ford and Renault, as well those from Chevrolet's more direct competitors like Hyundai and Kia. 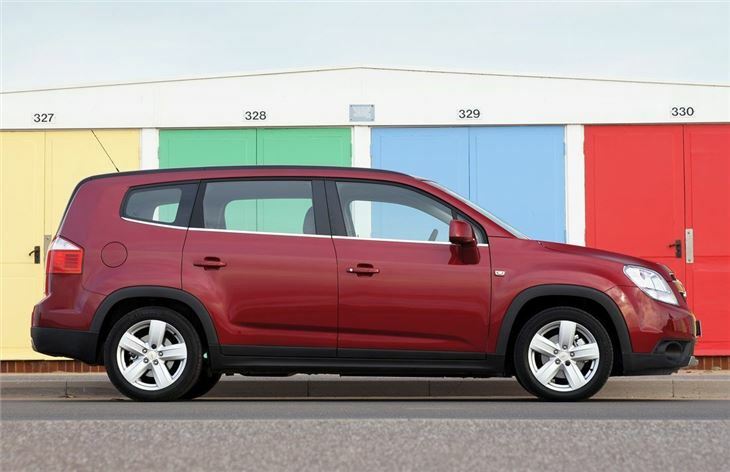 It stands out thanks to chunky styling which seems to be a combination between MPV and crossover (if such a thing exists) but the main thing is that it's distinctive and - dare we say it - quite handsome too. It's actually based on the Chevrolet Cruze and uses similar engines. 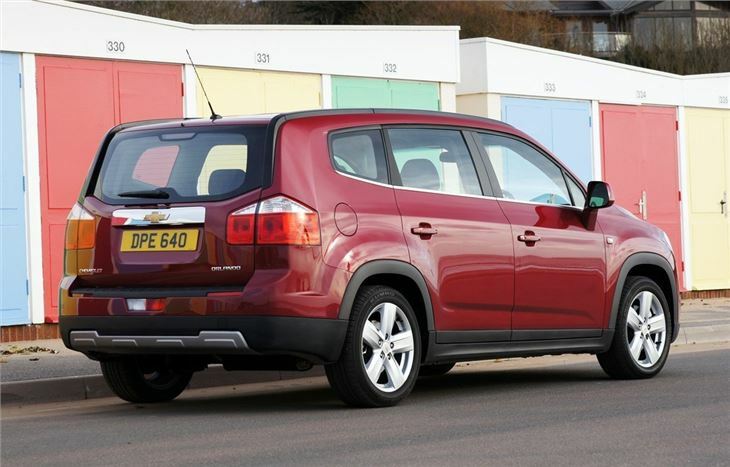 Under the bonnet, there's a choice of three units, one petrol engine - a 1.8 litre with 141bhp and two diesel units, the latest version of Chevrolet's 2.0 litre engine available with either 131bhp or the top 163bhp version. But what is most impressive about the Orlando is the practicality it offers. The 'theatre-style' seating as Chevrolet rather grandly refer to it as, means that those in the back still get a good view forward, even from the third row, which is a must for travel sick youngsters. There are numerous seating layouts available with flat fold seats making changing the interior about a doddle. Storage seems endless with a huge number of cubbies and boxes dotted about. And the name? Well apparently Chevrolet chose Orlando because it's where Disneyland is and because it’s synonymous with family fun. But this is certainly no Mickey Mouse MPV, instead it's a great value people carrier that has plenty to recommend it. Plenty of value used and an easy drive. It is practical, comfortable on long journeys, and great value.